The market for coronary stents has been gaining significant traction across the world. Technological advancements, increasing burden of CAD, and the rising base of geriatric population are the main factors that have been fueling the demand for coronary stents substantially. Apart from these, the augmenting demand for minimally invasive procedures and the rising number of percutaneous coronary intervention (PCI) procedures are also supplementing to the growth of this market. Furthermore, the advancements in bioresorbable vascular scaffold (BVS) and the continual expansion of the leading players in emerging markets are likely to offer significant growth opportunities to the market in the years to come. 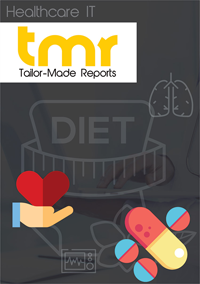 However, the availability of alternative treatment methods for CAD, strict norms and policies for product approval, and the increasing number of cases of product failure may hamper the growth of this market over the next few years. The market reports a regional presence across the Middle East and Africa, North America, Asia Pacific, Latin America, Europe. Among these, North America has been leading the global market and is expected to retain its supremacy over the forthcoming years. Fat often gets deposited along the arterial wall, thereby narrowing the area for the blood to flow. This can result in reduced flow of blood to the crucial heart muscle, which in turn can lead to chest pain and heart attack. Clots also form at times, which completely siphon off the flow of blood to the heart causing an attack again. Stents help to thwart such outcomes by keeping the coronary arteries open for the blood to flow smoothly. Coronary stents are efficient and safe. This unique perceived benefit has been the single most important driver of its market so long. Additionally, clinical research organizations (CROs) with their constant evaluations leveraging clinical trials have egged manufacturers to focus on product development. Such organizations also bring down the time taken for regulatory approvals by partnering with regulatory agencies for pre- and post-market approvals of stents. All these have driven steady growth in the market. Besides, patients who undergo angioplasty and have stents installed recover faster than patients who have coronary artery bypass surgery (CABG). Coronary stents cause much less discomfort and this has been resulting in their swift adoption too. Coronary stents play an extremely important role in saving human lives. Recently, the government in India ordered stent manufacturers, especially multinationals Abbot and Medtronic, to not withdraw supply in response to pricing regulations. It cited emergency clause in public interest. Given the crucial function they serve, many governments are coming up with different incentives to make sure everyone can access the lifesaving devices. Some such incentives are reducing the price or providing subsidies. The three different types of coronary stents available in the market are drug-eluting stents (DES), bare metal stent (BMS), and bioresorbable stent. The drug-eluting stents (DES), among them, grosses maximum revenue on account of the spike in number of people suffering from cardiovascular diseases (CVD). The growing efforts by companies to prove the efficacy of their products through clinical studies has also driven up demand for the product. In terms of end users, ambulatory surgery centers account for maximum share in the market as they help to minimize medical expenses and lessen the duration of hospital stays. They also come equipped with advanced operating equipment, specialist surgeons, and operating and recovery rooms without complex administrative procedures. From a geographical standpoint, the Americas hold a leading position in the global market for coronary stents due to the advanced medical facilities in the region. Going forward too, the Americas will likely hold on to their leading share. A large number of regional and international players makes the global market for coronary stents competitive and diversified. These vendors are making constant efforts to outsmart one another by coming up with more cutting-edge devices such as nano-coated stents or through shrewd pricing strategies. They are also resorting to strategic distribution partnerships and mergers and acquisitions to bolster their positions. Some such vendors profiled in the report are Abbott Laboratories, Medtronic, and Boston Scientific.